Dec 2009: Beginning a new organization "Dzilijiin Bee'Ahota or Black Mesa United, Incorporated!" For many many years, the residents living inside the Peabody lease area have voiced their concerns against mining activities and its impacts on the people, land, and animals. Residents are divided among Kayenta, Forest Lake, and Black Mesa Chapters and any efforts to address their concerns was fragmented and inefficient. We have now come together to unify our voice so that we may be heard. We want to heal our land and preserve our beautiful homeland for future generations and retain our cultural history despite mining impacts. We have completed our Articles of Incorporation. The name of our non-profit is Dzilijiin Bee'ahota or Black Mesa United. BMU-DzBA received a mini-grant from Indigenous Environmental Network (IEN) and Western Mining Action Network (WMAN) on March 29, 2010! The grant funds the filming of raw footage of Black Mesa Elders who inspire their community with stories of survival through coal mining impacts and their vision for a sustainable and prosperous non- mining community enriched with Navajo cultural values. 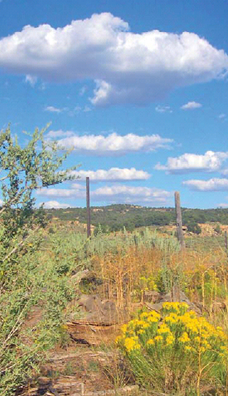 Seven Black Mesa elders were interviewed on May 13 and May 15, 2010. A short video clip was produced. BMU-DzBA plans to apply for another grant to fund a full documentary. In 2010, BMU representatives went to Window Rock to speak and support the Title 18 Amendments on behalf of BMU-DzBA. Please see the press release written by Carl Etsitty on behalf of BMU-DzBA. Title 18 Amendments was passed by the Navajo Nation Council 35 to 31! The purpose of the resolution is to update the provisions of Title 18 relative to mineral leases and energy-related agreements and to strength the role of impacted Navajo nation chapters in the approval of such agreements. Thank you for all our members who volunteered their time to make these amendments, travel to many chapters, and who signed the petition. Special thanks to Fern Benally, Elsie Benally, and Norman Benally for spearheading this committee! BMU-DzBA has been very productive in 2011! BMU-DzBA received a 2nd mini-grant from Indigenous Environmental Network (IEN) and Western Mining Action Network (WMAN) on February 24, 2011! The grant funds the filming of raw footage of Black Mesa Elders who inspire their community with stories of survival through coal mining impacts and their vision for a sustainable and prosperous non- mining community enriched with Navajo cultural values.